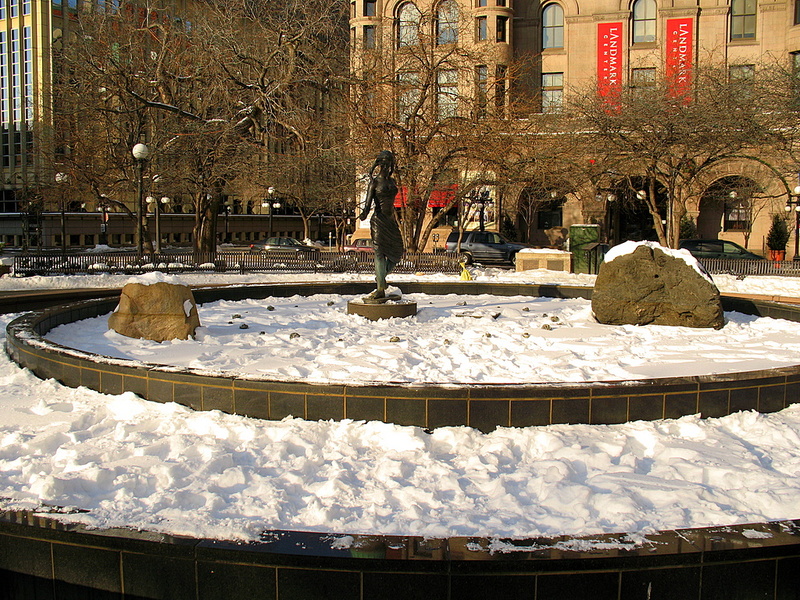 "The Source" is the name of the statue on display in Rice Park, located in downtown St Paul. I took this one back in December 07 with cold temps and quite a bit of snow at the time. If I were to visit there today, I would find no snow as it's been above the freezing mark for a good week or so. Slowly the life of the Twin Cities will begin to grow and we can put another winter behind us. Yesterday marks the first day of spring, my favorite time of the year. For more information on "The Source" please visit Visual St Paul by Kate. It's very early yet, but I'm still in the hunt. Looks likea like a smiley face. Not just the statue but the park.